AMT/Ertl 15043 John Deere backhoe, front end loader. Sealed, mint kit with not a tear in the cellophane. We are not responsible for its safe return. 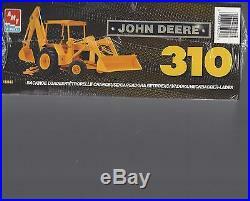 The item "AMT/Ertl 15043 John Deere backhoe, front end loader. 1/25th scale" is in sale since Sunday, July 23, 2017.